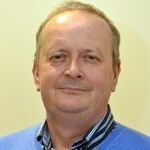 This week’s guest blogger is recent NCTJ graduate, Keith Spooner. After retraining as a journalist Keith shares how he started out in his second career. It was January 10, 1972 when I started at Midland Bank, later to become HSBC. I was 16, and for the next 40 years I did a variety of roles from branch management to lending to IT, and finally project management, retiring in 2012. To begin with retirement was extremely liberating and the chance to try something new. I went through an array of different hobbies – photography, jewellery making and picture framing with a view to enjoying myself and at the same time making a few pounds. None of them worked out as I had planned so I begun applying for part time jobs, about 50 in all, and only received one interview which I failed. As you can imagine this did nothing for my self-esteem. After a while I started to get bored, so I begun to look at ‘second careers’, being relatively young and in reasonably good health. I had always wanted to write, although all my previous efforts at blogging were pretty awful and mostly, in my opinion, pretentious rubbish. Then quite by chance I saw Sheffield College’s NCTJ fast track course for journalism and decided to sign up. Having obtained a 24+ government loan (this always makes me smile 24 being years of age!) to pay for my fees, I started the course in September 2015. The course was very intense, but incredibly enjoyable, and to make matters worse for myself, I had also signed up for the additional module, photojournalism. After a few months I begun to wonder what I had let myself in for; my head was buzzing with section 46 orders, active cases, the number of peers in the House of Lords, photography law and writing the dreaded NIB. During the half term break I got work experience with the The Sheffield Star and after that I was hooked. It was only four days, but during that time I wrote stories, interviewed celebrities and photographed people. After five months of hard work, six exams, reporting and photojournalism portfolios I had my NCTJ diploma. I started to send my CV to all of the local papers but most came back saying that they did not have any budgets for freelancers and that my shorthand wasn’t good enough for a full time trainee’s position. Then quite by chance I heard that Derbyshire Times were looking for freelance journalists and after contacting them I suddenly found myself working three days a week, writing stories for the paper. I couldn’t quite believe it and after the first week they wanted me back! Now almost five months later I have written hundreds of stories and even managed to have two front page splashes. I still get an incredible thrill from seeing a story printed in the paper with my byline. I have made mistakes, (I managed to put a photograph of Scarborough hospital next to my story about patients at Chesterfield Royal Hospital), but the staff at the paper have been very helpful, and I have learnt so much during my time there. My work covers a wide range of different topics from dealing with press releases, investigating stories that come in from the public, feature writing and intervewing local celebrities and people. I am still amazed at what makes a story interesting. Recently I wrote about a school telling parents that they must only buy trousers from the school. Parents were up in arms about the price, £15, which was almost three times of what could be bought in local shops and supermarkets. The story had over 3000 hits on our Facebook page within a day and was picked up by Ross Parry, ITV Central and even tweeted by The Sun newspaper. I hope it lasts because at the age of 61 I believe I have found my true vocation. Good for you, Keith. A heart-warming story to stick in the pipes of the anonymous gloom-merchants who stalk the comments on HTFP. I’m the same age as you and turned right out of school to join my local paper as a trainee reporter – just glad I didn’t turn left like my dad advised and end up at the bank! Well done, and keep having fun in newspapers like I have for 40 years. An inspiring read and a reminder to all of us cynical, grizzled hacks of the joy we felt at being in print for the first time. It also illustrates the fact that that joy had nothing to do with how young we were at the time.